There’s a special quality that comes from having wildflowers in your garden. They look good, are easy to maintain, and will stay in bloom. Well, that’s partly true. A lot of people think that wildflowers would be low maintenance. They aren’t. You need to get the seeds, put them into the soil and weed them. But, if maintained, they look wonderful. Picking the best plants for your garden is not always the easiest thing to do. There are several things you need to keep in mind before buying the seeds for your wildflowers. What do you want your garden to look like? It’s important to consider this when you’re buying the seeds for the plants. 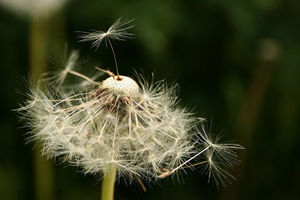 You might not wish to have a flower that blooms for a week or two and then loses the flower for the rest of the season. Most nurseries provide the seeds for a mixture of flowers. This will likely be the best way to get a collection of flowers that will last throughout the entire season. Where are you going to plant the seeds? When choosing the spot, you’ll want to know how the plant behaves around rocks, moisture, and sunlight. The plants you pick should be locally available. Bringing another plant from another area may cause problems with the plants you already have that are thriving in your garden. They may also die from exposure to the climate. So be sure to check things out before you plant. Be aware that when you go out collecting seeds be careful about what you take. Talk to your nursery about what they recommend. Obey the laws. Some of the plants that you will find out in the wild could be considered endangered. There also may be a health hazard that needs to be heeded. The most important thing you can do when you’re planting is to prepare the site. If there are other plants in the area, they need to be controlled before planting. It is recommended that you till the soil down to about 3 inches before planting the seeds. Once the soil is prepared, you will be able to plant the seeds. Mix them in with sand and spread them into the ground. Once you place the seeds into the ground, it is best to rake the seeds lightly into the dirt. Try not to have the seeds very deep. Once your seeds have been planted, they still need to be maintained. You want to water them enough to keep the soil moist but not wet. Do not fertilize as well. The benefits of the fertilizer will go to the competing weeds and plants. Once the seeds have grown to about 4 inches, you would no longer need to keep watering them. They should be able to manage with the local climate, getting water from the natural rainfall is enough to keep your wildflowers healthy. Take notes about your garden. This will be very helpful in the future as you refer to what worked well and what did not. Once your plants are established, maintenance will no longer be as involved. But it will still need to have the same maintenance as the rest of your garden. – Happy gardening. You can eat the turnips! Welcome to AllGoWild ~ the ramblings of a wife and mother, trying to do a little better every day. Guess he likes turnips…! Yay! A trip to the Farmer’s Market has to been one of the best activities in the book. The air was warm with the hint of a breeze, the sky clear, the trees green. The weather was in fact perfect for our walk and it was immensely satisfying to get in a little exercise. I was also pleased as punch to use the cotton produce bags that hubby had given me at Christmas time. Not only did we walk to the market and buy fresh produce, but we also did not consume any unnecessary plastic bags! Woohoo!